The new Shimano SLX is the replacement model for the CaenanA. With a significantly smaller body (22%), the SLX has a very ergonomic shape and is perfect for palming the reel in your hand, making it very comfortable to fish with whole day long. 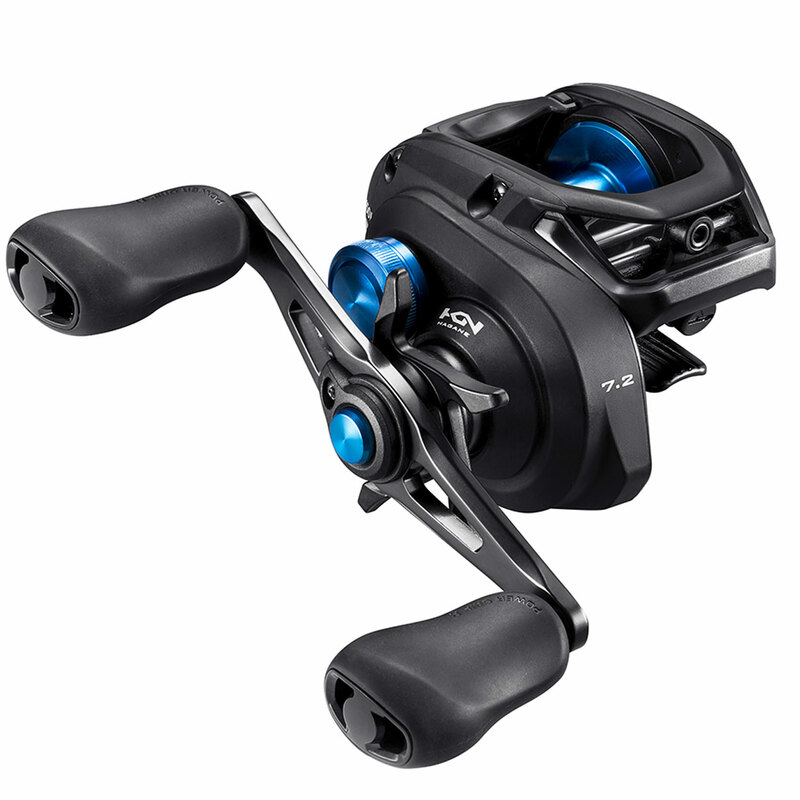 This Mid-Entry price level reel is a perfect all-round reel which can be used for all kinds of fishing and would be great for an anglers first baitcasting reel experience. It is available in three different gear ratios (normal gear 6,3:1 High Gear 7,2:1 and Extra Gear 8,2:1). The XG version even has a little longer handle (48mm instead of 45mm), giving it some more cranking power. The SLX has a very smooth maximum drag of 4,5kg, giving it enough strength and power to reel in your trophy fish.